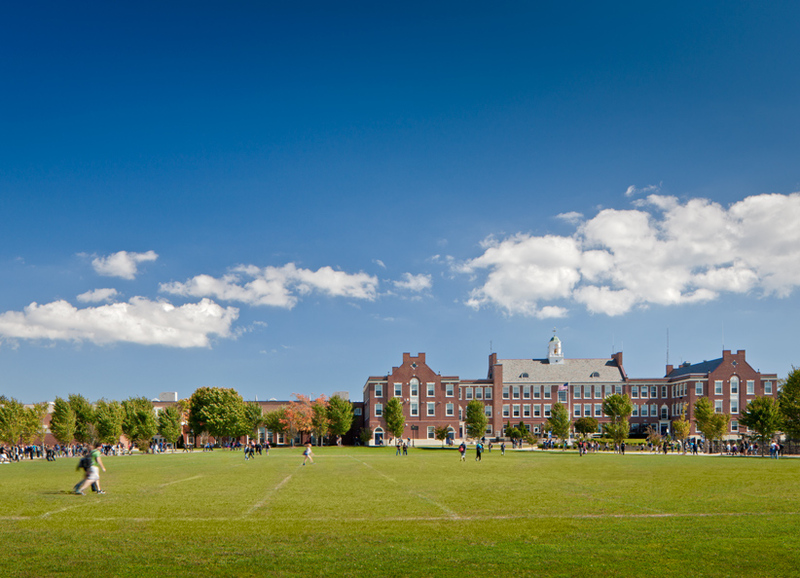 The existing Westerly High School has a "university" campus setting that includes a central quadrangle located between two Greek Revival historic buildings; Babcock Hall and the Ward Building. The project's signature component includes a newly designed Science and Technology Building which serves as a symbol of the newly infused 21st century educational technology throughout both buildings. It includes many interactive teaching tools such as "History of Science" displays, oversized LCD video display wall, and an interactive sustainable kiosk. It incorporates many green and sustainable design strategies, rainwater collection system, energy efficiency HVAC systems, high efficiency fluorescent lighting, and historically sensitive high performance aluminum framed window systems.